Keeping track of your weight has never been easier. 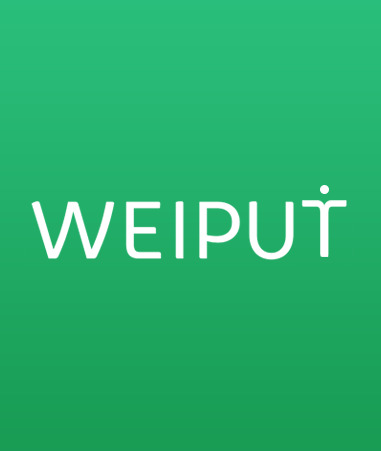 Introducing Weiput™, pronounced Way-Put. Weiput was designed just for the Apple Watch. This is not an iPhone app adopted for the Apple Watch. It is first and foremost an Apple Watch app. It's simple, intuitive and syncs with the iOS Health app on your iPhone. The great benefit to the Apple Watch will be the ability to do something very quickly. Read a text or email, get flight info, check your schedule and use health apps like Weiput. All of these things are what the Apple Watch was made for. A wearable device you use for less than 10 seconds at a time. Weiput allows you to enter your weight in seconds. No fumbling thru menus and clicking countless icons. Quick and simple was how Weiput was designed. Use your voice or your finger to input your weight. That's it. No wasted time and most importantly little impact on battery life. You can also view current weight statistics right on the Apple Watch. Keeping track of your weight is an important part of your overall health. Weiput helps you do this.